This dip reminds me of our aunt Deenie. She’d always make this for get togethers and we all would practically be licking the bowl. 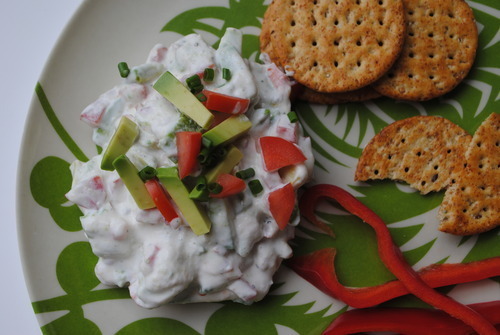 Serve it with your favorite veggies and crackers. Mix sour cream, lemon juice, and dressing mix in a medium bowl. Fold in tomato and avocado. Cover and refrigerate before serving. I believe this recipe originally came from our grandma Asay.